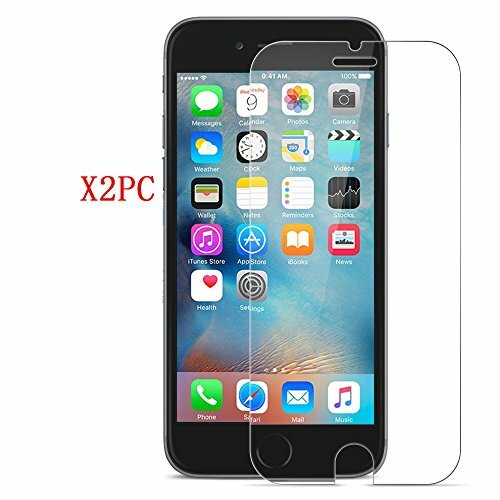 World’s thinnest 0.2mm tempered glass screen protector for iPhone 6/6S (4.7 inch). Featuring maximum protection from high-impact drops, scratches, scrapes, and bumps. HD Ultra-clear Ballistic Glass is quality cut to perfectly match the rounded edges of the iPhone 6 6S (4.7 inch). 99% Touch-screen accurate! 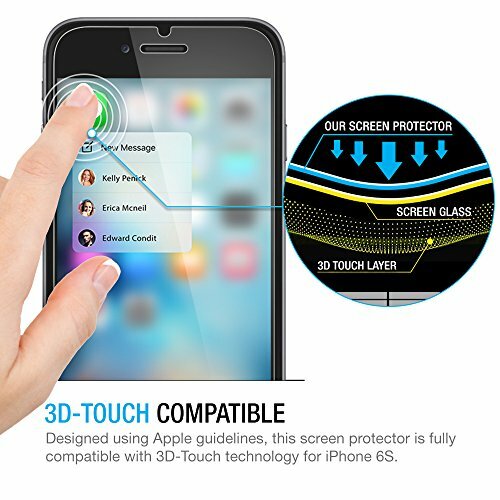 This glass screen protector features a Surface Hardness (9H), which is 3X stronger than the PET film, and providing a natural screen experience you need. [Compatible with iPhone 6S and iPhone 6] Worldâ€™s thinnest 0.2mm tempered glass screen protector for iPhone 6/6S (4.7 inch). Featuring maximum protection from high-impact drops, scratches, scrapes, and bumps. 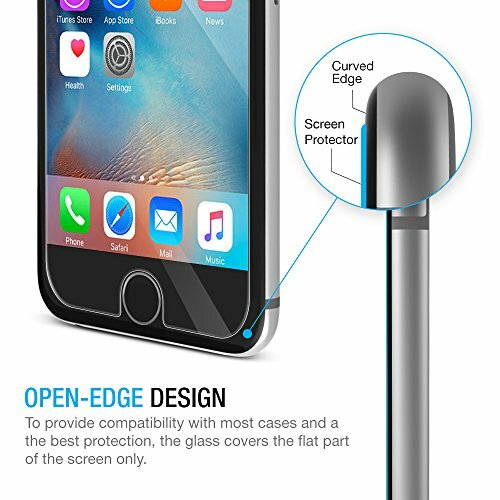 Special Note: Due to the rounded design of the iPhone 6S/6 and to enhance compatibility with most cases, the ballistic glass does not cover the entire screen. 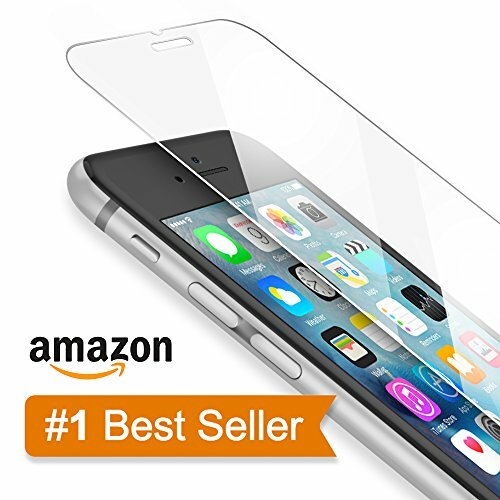 HD ultra-clear rounded glass for iPhone 6S/6 is 99% touch-screen accurate. 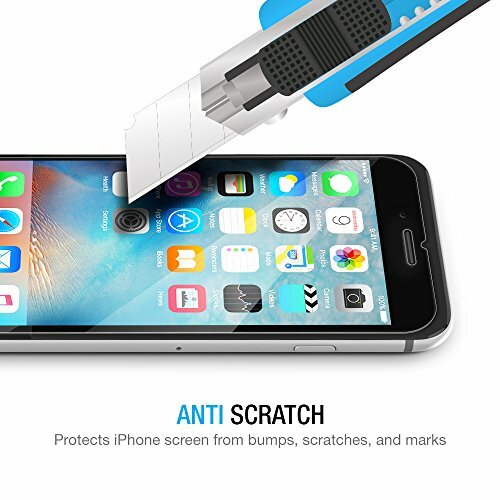 99.9% High-definition clear hydrophobic and oleophobic screen coating protects against sweat and oil residue from fingerprints Lifetime no-hassle warranty provides easy lifetime protection for your iPhone tempered glass screen protector. Easy installation with online tutorials (saves trees!) on how to correctly install your iPhone 6S 6 screen protector. Visit our website to learn more.